Several favorite designs of mine arise from doing different loop passages on each hand. 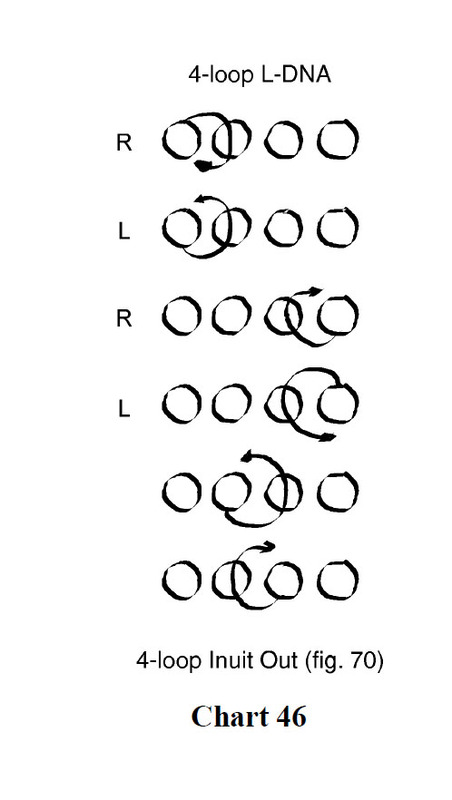 In my circle notation charts i place an R or an L before a row to indicate that the loop passage should only be done on the right or the left hand. 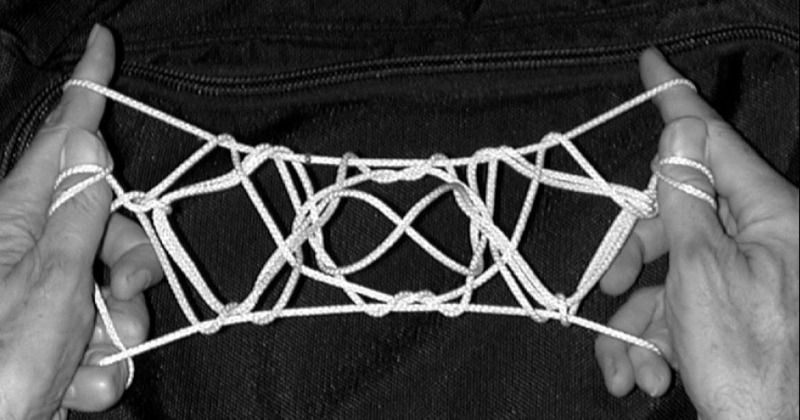 The first design in this series (fig. 70, chart 46) is called ‘Koi Fish’ because of the two protruding “eyes” that pop out of the center on the back side of the figure. applying the Power Lift so that the protruding eyes would face the camera.